Often for us it is hard to think of fun things for Maya to do. I am dedicating this section to fun places, activities, and adventures we have heard about that provide opportunities for special needs children. Disabled Sports USA-a national directory of adaptive sports near you. AccessSportAmerica-A national non-profit organization founded in 1995, inspires higher function and fitness for children and adults of all disabilities through high-challenge sports and training. Canadian residents–A new app called jooay allows people to learn about local recreation opportunities in their area. American Camp Association-You may search a database of camps here. Their database allows you to limit your search criteria to include specifics such as catering to certain diagnoses, location, activities, cost etc. Blaze Sports International Directory of Programs-*Thanks to a partnership between Reaching for the Stars and Blaze Sports, Summer of 2013 is the very first CP Sports Camp in Georgia! It’s located in Decatur, GA and is June 12-15 and is for ages 6-18. Here is a link to register. TrailLink.com– A national directory of wheelchair accessible trails. This is a free service of Rails-to-Trails Conservancy, which is a non-profit dedicated to helping local communities to convert unused railroad corridors into trails. At home for the holidays or the summer? 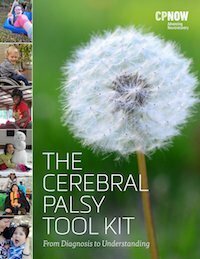 Check out this very helpful blog post from Mom Julie at Have Wheelchair Will Travel and get some great ideas for easy and inclusive activities you can do at home. A link to Friendship Circle of Michigan discussing eligibility for FREE lifetime passes to Federal Parks in the US. Kids can register to bowl free all summer long at participating bowling alleys throughout the US and Canada! Yes, wheelchair users can go bowling and Maya loves it! Here is a blog post our experience with a picture of what Maya uses. Ask your local bowling alley what they may have to accommodate you or your child. Do you know of more? Tell us and we will add it here. More than Able: Measuring progress in the disabled sports arena-Fantastic article! A six year old with multiple disabilities participates in his fourth 5k after doctors had told his parents he may not run or jump when he was younger. Beaches-Particularly wheelchair friendly and/or with beach wheelchair lending programs: California Coast Directory, Edisto Beach, South Carolina, Long Beach, New Jersey, Ocean City, Maryland. **Do you know more? Let me know where you like to go by e-mailing me at cpdailyliving@gmail.com. Blaze Sports– In 2002, USDAF launched a national program, BlazeSports America, in partnership with the National Recreation and Park Association. Today they provide direct service in their founding state of Georgia as well as nationally and internationally in developing countries. BlazeSports is also affiliated with local BlazeSports teams/programs in more than 60 communities and 29 states and the District of Columbia. Boccia–Today Boccia is a played competitively at national and international level by athletes who require a wheelchair because of their disability. In its current form, Boccia was originally played by athletes with cerebral palsy, but now includes athletes with other disabilities which affect motor skills. Disney World-For guests with disabilities Here is a blog post I did about our experience at Disney World with Maya. Disabled Sports USA–Their mission is to provide affordable inclusive physical and recreational activities that build health and confidence. Lakeshore Foundation-Simply amazing! Lakeshore Foundation offers a wide range of fitness, recreation, athletic and education programs to children and adults with physical disabilities. I wish a place like this was in every major city in America. Lose the Training Wheels-This is a bike camp with over 80 locations across the country. Their mission is to teach children with disabilities to ride a two-wheel bicycle and become life-long independent riders. **Be sure to look at their “Parents” section and read through the requirements and “indicators of success” to determine whether this program is potentially appropriate for your child. Wampler Foundation-“Born with a severe form of cerebral palsy, Steve Wampler set out to climb the biggest rock face in the world; El Capitan in Yosemite National Park, not for himself but to inspire all kids with physical disabilities and to prove that anything can be accomplished. The Wampler Foundation was started with the mission of providing a one of a kind wilderness experience to physically disabled children nationwide.” The Wampler Foundation sponsors a variety of programs including a wilderness camp in the Sierra Nevada Mountains at Camp Nejedly’s Hawley Lake. This is a camp for people with physical disabilities ages 10-18 in. Often referred to as “Camp Wamp”, the Wampler Foundation wilderness camp is operated by the City of Sacramento’s Department of Parks and Recreation in partnership with the Contra Costa Youth Council. Check out this video about Camp Wamp. It was put together for fundraising purposes but I love what it conveys about the camp. Get your application for Camp Wamp here. This looks great! I am keeping it in my file. There are so many camps that I have listed a search engine in lieu of trying to list individual camps unless they are specialty programs (art, music, etc.). I may change my mind later about how I do this section though. Thank you for sharing!! Everyone’s input will help make the site better for all of us.